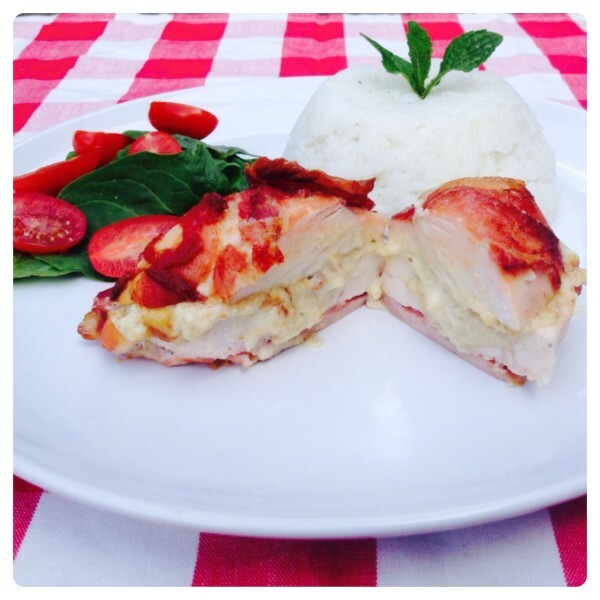 Stuffed chicken breast is simple to make, yet very tasty. When I made Stuffed Chicken Wrapped in Proscuitto with Pea Risotto and Grana Padano Salad, it was delicious and the whole family loved it. Pre-heat the oven to 200C/ 400F/ Gas 6. Season the chicken breast to taste with salt and pepper. To make the stuffed chicken breast, make a pocket in the chicken breast and add cheese melts. Wrap the smoked bacon around the chicken breast. In a medium-sized frying pan, heat olive oil, sear the chicken breast until golden. Place into the pre-heated oven on a foil lined baking tray for around 10 minutes, until cooked thoroughly. 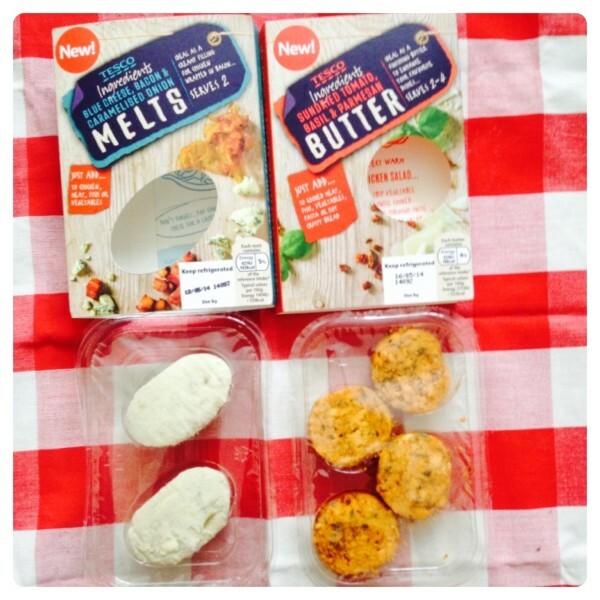 We tried the Blue Cheese, Bacon and Caramelised Onion Melt, the creamy filling was delicious and added a touch of flavour to the chicken breast. We are looking forward to trying Sundried Tomato, Basil and Parmesan Butter, I’m planning on adding it to penne pasta with spinach and cherry tomato, yummy! Tesco Chilled Ingredients can be found in the dairy chilled area, currently at 2 for £2. 5 Responses to "Recipe: Blue-Cheese Stuffed Chicken Breast Wrapped in Bacon"
Sounds delicious, will have to try this.